Iron is one of most crucial nutrients required by the human body to function healthily. Lack of iron may lead to various factors such as fatigue; muscle weakness and excessive menstrual blood flow in women. 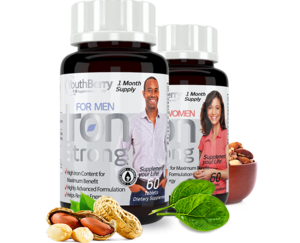 YouthBerry’s 100% natural iron supplements are loaded with sufficient amount of iron required by the human body. Only Iron Supplement you need! Iron is a mineral that the body needs to produce red blood cells. When the body does not get enough iron, it cannot produce the number of normal red blood cells needed to keep you in good health. Lack of iron may lead to unusual tiredness, shortness of breath, a decrease in physical performance, and learning problems in children and adults, and may increase your chance of getting an infection. 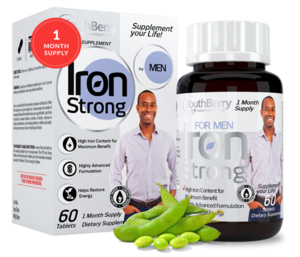 YouthBerry’s range Iron Strong ensures that your body has the readily absorbable iron. 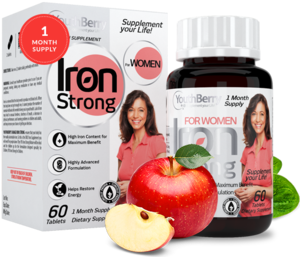 Each Iron Strong formulation is designed with you in mind so for adults decide based on your gender and age, so for men this is the right product for you however for a women you’d like to take a look at YB’s Iron Strong for Women. For people above 70yrs YB’s Iron Strong Mature will be ideal and for children go for the formulation designed specially for Children, YB’s Iron Strong for Children.